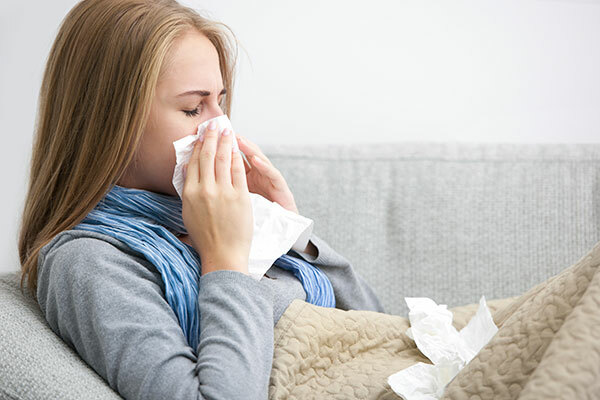 Fibromyalgia and the Flu: With fibro, you're more likely to deal with severe symptoms and complications from the flu. These tips will help keep you well. I had the stomach virus almost two weeks ago and I'm still exausted from it. My meds for my Fibro have aggrevaded my IBS. Get a flu shot! My doctor requires me to get one or suffer the dreaded flu symptoms 10x over--and suffer her wrath! Haven't gotten the flu in the 15 years I've had Fibromyalgia! I just had the flu shot and spent the last two weeks with ethe worst fibro flare up I've had in years. Everything hurt and spasmed and went numb at once. I didn't know what to do with myself. I finally realized that it was a reaction to the shot. How could the medical community advocate so strongly in favor of it? Has anyone else reacted badly to it? I have the flu now. 2 days in and I feel like I'm dying, for lack of a better term. I haven't slept, which doesn't help but I can't lay still enough to sleep. My body aches are seriously the worst ever. I'm worried about the flu shot but I suppose next year I'll give it a try. I went to the doctor yesterday. Thought it was fibromyalgia flaring up but I tested positive for the flu. I slept all day. Trying to keep Advil and Tylenol in my system so I don't hurt as bad. It helps some. Trying to rest as much as possible. I pray this doesn't last long. I am on day 11 of the flu. I felt like this one was going to kill me. This is the first year I did not get the flu shot and now am regretting it. I have missed 2 weeks of work now and am wondering if I will be able to work next week. I have never had a virus with symptoms this long and only feeling slightly better if that. I believe that the fibro is not allowing me to heal as quickly from this. I have never in my life had the flu like this. I caught it from my grandson who fully recovered in 6 days. He was able to play and go on without a hitch. The only reason he had to stay home was due to a low fever.Now for myself, is an entirely other story. I am into my 2nd week. I didn't see a Dr. because I had no energy of getting dressed. I went 5 days without a shower because i have no strength to stand. I have had bed baths instead. It is crazy to think i got the flu shot and it did not help an ounce. Massive head ache with such pressure is a 10 on the pain scale. I set crying. The body aches on top of fibro pain...seems un human like. Sadly, those that don't know or under stand Fibro probably think i am exaggerating. My husband can attest to my severe pain. This cough hurts every inch of my body. Now, i am getting ear aches and red bumps on my throat, my chest has a elephant on it. If only i had strength to get to the urgent care....but i have NO ENERGY, i break out into a sweat just moving, just enough to breath. May God heal us all! !